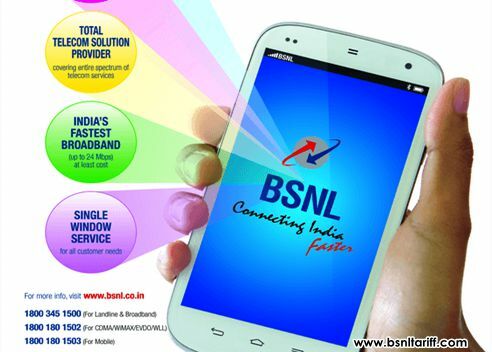 PAN India BSNL Mobile has revised the existing 3G Data STVs validity under Prepaid mobile services. State run Telecom Company Bharat Sanchar Nigam Limited (BSNL) has announced extension on existing 3G Prepaid Data STVs upto 100 percent on PAN India basis from 15th December, 2015 onwards under 2G/3G Mobile services. However, the free data usage of few data packs has been revised under rationalization of Prepaid tariff according to the 43rd amendment of TRAI Instructions/guidelines/orders from time to time. Existing Data STV of Rs.821 offering 7GB Free data usage reduced to 6GB with unchanged validity for 60 days. Existing Data STV of Rs.1011 offering 10GB Free data usage reduced to 9GB with increasing validity from 30 days to 60 days. Existing Data STV of Rs.1949 offering 20GB Free data usage increased to 21GB by extending extra validity of days from 60 days to 90 days. The above revision of existing data stvs validity and freebies will be implemented with effect from 15th December, 2015 onwards on PAN India basis.